What is Pride in Sport? Supported by the European Commission within the Preparatory Actions in the Field of Sport, Pride in Sport is a series of projects and actions to tackle discrimination in sport against lesbian, gay, bisexual and transgendered persons. Read more. make basketball a sport for all. simple ways that your organisation can assess where it is and get started. bisexual and transgender people who love basketball. inclusive, welcoming and safe for all. 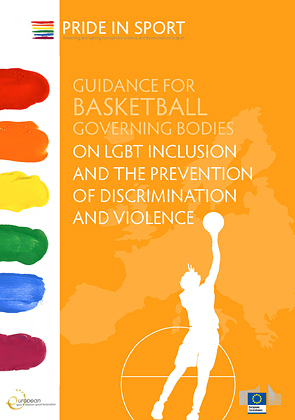 You may download a copy of the publication Guidance for Basketball Governing Bodies on LGBT Inclusion and the Prevention of Discrimination and Violence in PDF format, or view it online below. Copyright © 2019 Pride in Sport. All Rights Reserved.